What is worse than the mundane task of time entry? The frustrating task of trying to collect and approve time from an entire team. The “timesheet police” at a consulting company have a thankless job. 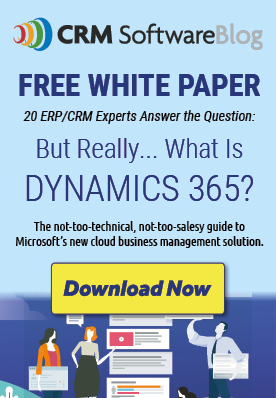 Fortunately, the right time entry tool for your Microsoft Dynamics 365 system can actually make life easier for everyone. A good time tracking system will have single-click entry points within Dynamics 365 and minimize the amount of effort, and typing, required. When the system is easy to use, more time entry gets done, accurately and on schedule. Once time is entered, the project manager can review it, and either reject or approve it. If the time is questioned or rejected, through simple workflows, an alert can be sent back to back to the employee that says something like, "Your timesheet was rejected. Please review." Notes or questions can be added. This saves the project manager from getting on the phone, or walking over to the desk, and having a conversation. At any point, managers can get an overview of all time that has been entered, across the company. They could do analysis such as the number of timesheets that have less than 40 hours. Or those that are short more than 2 weeks in a row. Then reminders can be sent out to repeat offenders. Another feature that is helpful to everyone is the ability to create categories and rules. For example, a dropdown list of different categories such as meetings, consulting and development. The customer may not see these categories on their invoice, but it keeps time entry consistent and measurable. The time entry system within Microsoft Dynamics 365 that will do all this and make life easier for everyone at the company is “Crowe Timesheets for Microsoft Dynamics 365” available on Microsoft Appsource. Download and overview of Crowe Timesheets and contact us for a free trial.